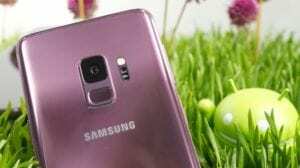 The Samsung Galaxy S9 was launched at the Mobile World Congress where a number of devices were launched. The S9 has a 5.8-inch screen and runs the latest Android Oreo operating system. Also, the device puts maximum focus on its new variable aperture camera, which is designed to maximize low-light photos. It also moves the rear fingerprint sensor to below the camera, rather than next to it in its predecossor. The device is set to be released on March 16, 2018. According to techradar, the Galaxy S9 will cost £739 or $719.99 SIM-free directly from Samsung, but exact pricing for other markets like Ghana is currently unclear. 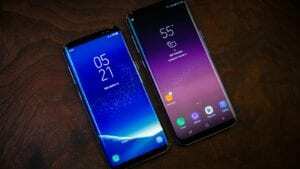 But looking at how much the S8 cost last year, we should prepare for a price around GHS 3,500 for the Samsung Galaxy S9 and GHS4000 for the S9 . 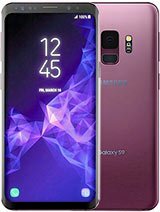 Even though the design looks similar to the S8, the S9 comes with a few tweaks. These include the repositioned fingerprint scanner below the rear camera, a hidden iris scanner hole and less bezel at the top and bottom of the display. The device comes with a 5.8-inch QHD screen with a resolution of 1440 pixels by 2960 pixels at a PPI of 568 pixels per inch. Unlike what most rumours came with, the Samsung Galaxy S9 does not come with the in-screen fingerprint scanner. This is probably the most outstanding improvement over its predecessor, the S8. The Galaxy S9 12 MP rear camera with dual aperture feature, which is f/1.5 and f/2.4 for low light and daylight performance. One of the biggest upgrades is new dual-aperture technology, with the camera automatically adjusting the aperture depending on the scene you’re shooting, much like the human eye adapts to changing light. According to techradar, if you’re shooting something brighter than 100 lux (which is usually daylight) it’ll automatically adjust to f/2.4 aperture, and if it’s darker than that the camera will opt for the f/1.5 aperture. F/1.5 is the widest ever aperture in a smartphone, and Samsung claims it should enable you to capture images with more color and detail, and much less noise in low light conditions. The Galaxy S9 camera also comes with the slow motion feature. The phone will automatically detect motion and alert users when the slow motion aspect has been recorded. Users will then be able to add background music or save slowmo videos as GIFs for easy sharing or they can also be set as a walpaper. The battery packs 3000 mAH power in its battery just like the previous version. Also, it comes with wireless and fast charging though you have to use the official charger to get the full power into your phone in the minimum amount of time. 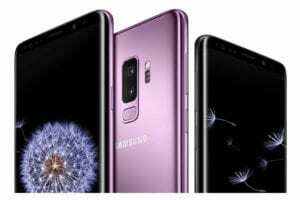 To offer a better listening experience, the Samsung Galaxy S9 has dual-stereo speakers and Dolby Atmos surround sound capabilities. Also, the new kid comes with the Animoji feature. This is feature uses the front camera to take a selfie and make an emoji based on your looks. Even though it works just like the iPhone X face recognition, this one allows you to make your own character and give it a new look. You can do this by giving it different hair colors, dress senses, 12 different clothing options and choose from 7 pairs of glasses.